Gary’s presentations are jam-packed with valuable information. He encourages you to think through the regulatory fog so that you can effectively apply your newly gained knowledge to your specific scenarios. Get involved with your questions, before, during and after the live presentation. LEARN MORE AND/OR REGISTER HERE! 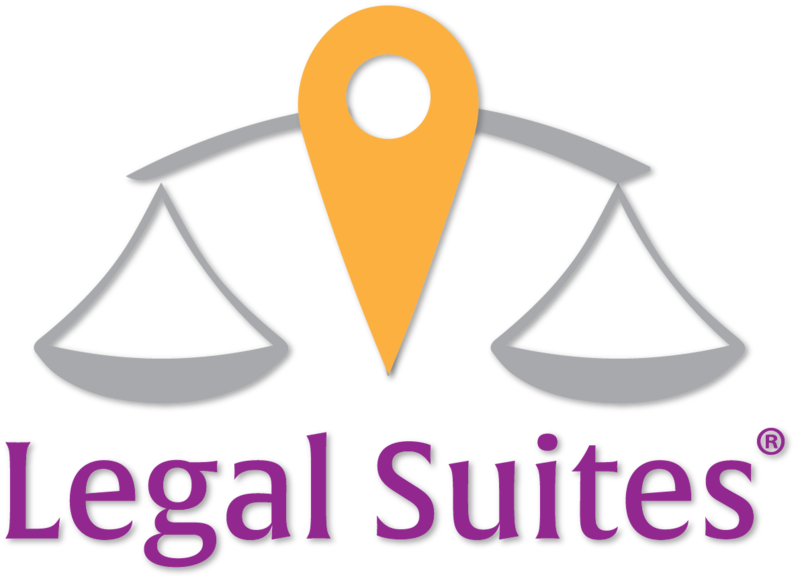 *Legal Suites will be announcing additional webinars that will delve deeper into these particular subject areas in separate webinars. 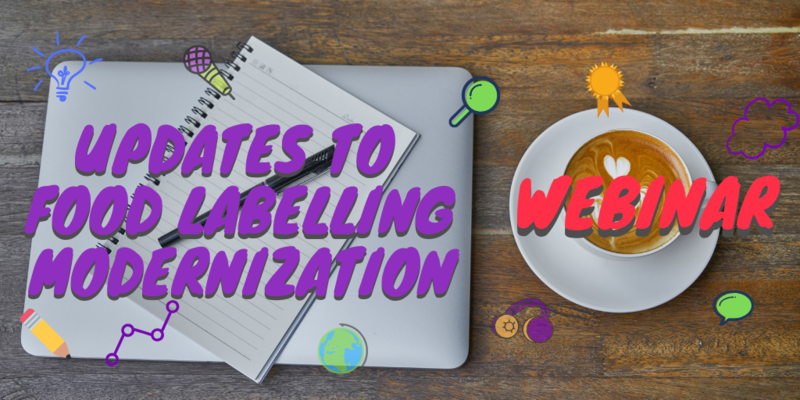 What's New in Food Labelling? They're here! The official Canada Gazette Part II publication has been posted to the Public Works and Government Services Canada website. Click here to link to SOR/2016-305 and view Food and Drug Regulations amendments. Let us help you work through these major changes to nutrition labelling, ingredient labelling, colours, health claims and so on. We have added new webinars to our programs that will focus on the most recent developments. Join us now, so that we can help you gear up for the changes. Click here to learn more and register. 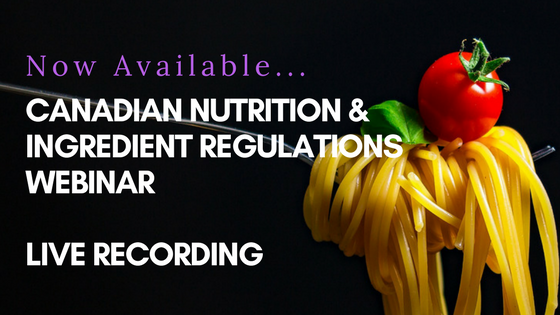 If you missed out on the LIVE New Canadian Nutrition and Ingredient Labelling webinar, you can now access the recorded session of this webinar through Legal Suite® Inc.
Gain the knowledge and understanding you will need to implement these new Canadian food labelling regulations. Ask questions of leading experts in the field of food labelling and learn how to effectively work with these new regulations to properly plan for the required changes in the months ahead. To learn more and/or register, please click here! Workshop attendees are welcome to preview the web site and download the workshop support content they have subscribed to. Please note that workshop attendees have been given a coupon code to access the applicable content related to their workshop program. 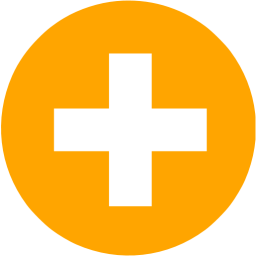 The coupon code covers 100% of the cost of the support materials assigned to it. Click here to start accessing your workshop support . Canadian Regulatory Consulting - Food Consumer Products, etc. Labelling Review - Food Consumer Products, etc. February 22, 2018 by Gary GnirssOur discussion on food labelling modernization often uses the terms “prescriptive” and “prescribed” to describe the evolution in how regulations govern food. December 7, 2017 by Gary GnirssCanada is at the beginning of implementing food labelling modernization, yet more is already on the horizon. These workshops are sponsored by NSF Canada and presented by Gary Gnirss of Legal Suites Inc.
Food Suite® Canadian Bulletins provide subscribers food compliance news they need to know. Follow this link to see for yourself. Information fuels know how. The Food Suite® compliance microsites provides subscribers heads up information that simplifies compliance management. 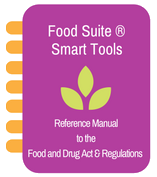 The Food Suite® Reference Manual to the Food and Drugs Act and supporting Smart Tools is changing compliance research for the better.